The UCAT Applied Technology College Campuses offer Associate of Applied Technology (AAT) degrees and a broad range of long-term and short-term certificate training, within a college environment. UCAT, through the college campuses, is responsible for providing post-secondary and extra-secondary applied technology education that results in appropriate licensing, certification, or skill training to qualify students for specific employment in business and industry. High school students attending an applied technology college campus enroll tuition-free, and tuition for adults is minimal. Students may register at any time during regular business hours and receive instruction in a self-paced format. The flexible schedule is ideal for working adults with limited time and for high school students desiring to supplement their high school schedule. Many of the college campuses hold special accreditation and/or recognition and certification for select programs. 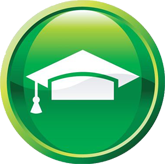 All UCAT programs are recognized by business and industry as preparation for employment. UCAT students can participate in a number of programs through partnerships with other colleges or business and industry. For example, UCAT runs a cooperative program in nursing with Weber State University and apprenticeship programs from diesel and electrical to welding with business and industry partners. Please see Programs Offered by UCAT for specific certificate, AAT degree and other programs available at the various campuses. The certificate programs include, but are not limited to, diesel mechanics, precision machine tooling, practical nursing, cosmetology, computer-aided drafting, dental assistance, welding, computer use and programming, and construction trades. There are also several other programs and customized employee training under the Utah Custom Fit program. The Utah College of Applied Technology (UCAT), in an effort to meet the needs of business and industry for a highly skilled workforce, has developed associate of applied technology degrees designed to prepare students for direct entry into the workforce or for transfer to other Utah System of Higher Education institutions.